Grand Theft Auto is, as a franchise, about as big and noticeable as they come. Unlike some gaming franchises like Mario, who slowly worked his way into our hearts, or Half-Life, which came out of nowhere and eloquently slotted into place as if it had always been the best game ever, Grand Theft Auto was a bit more forceful. It grabbed attention like a blistering-hot sledgehammer blow... to the crotch. And once it had that attention, Rockstar ensured that the franchise kept a firm hold on it, constantly upping the ante with each and every game in the series. What first wowed us as a massive top-down shooter quickly became a free-roaming and fully 3D sandbox affair before it became a cultural phenomenon. Put it this way; not every game has a real world nemesis. And now the fourth game has arrived – though it’s actually the eighth game in the franchise if you count all the stand-alone titles and exclude all the ports and expansions. We don’t really need to emphasise how big a deal this is. The era-swapping is over and the loud embellishments of previous games in the series have been abandoned. 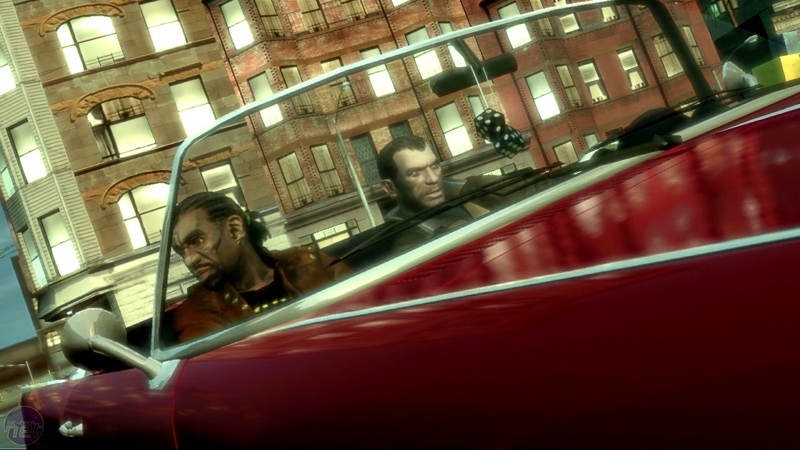 Grand Theft Auto IV is GTA as you’ve not seen it for a good long while, with an emphasis not on the 80’s excess of Vice City or the brash attitudes of 90s San Andreas, but on the grim reality of living in the modern world. And, in the GTA universe there’s only one place that can really encapsulate that sense of grim, grimy bastardliness that we call modern life – New York Liberty City. It’s been a good long time since we visited Liberty City and the place hasn’t got any prettier in our absence. There are no flashy mansions and no loud and proud gangsters roaming the streets – Liberty City is too down to earth for all that. Instead, there’s a constant sense of deception and disappointment. Everything is underhand, down-low and under the table. Then there's the perpetual pressure of urban issues, like immigration – topics which the new main character manages to introduce perfectly. 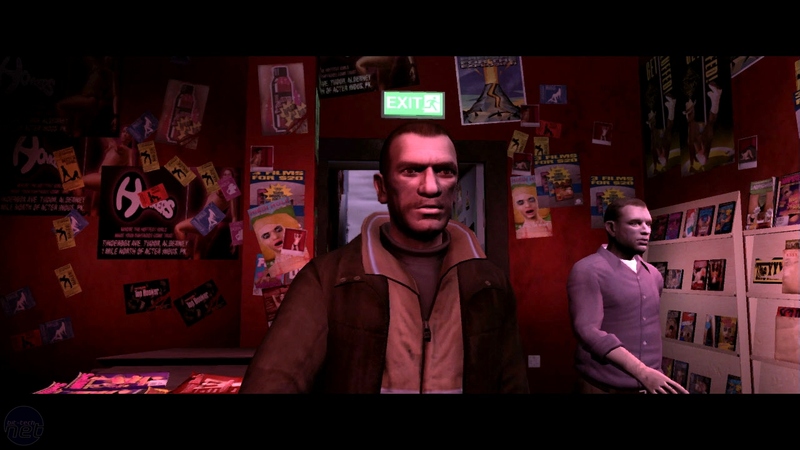 Meet Niko Bellic. As you’ve probably guessed from the name, Niko isn’t from around here. Niko is a Serb who has fled to Liberty City in America to chase the usual dreams and get closure on a few personal issues – and the motive is mainly fixed on the latter thanks to his cynical outlook from growing up in a war torn country. Thankfully though, this bleak cynicism and quiet strength resonates well within the new landscape and Niko quickly hooks up with his cousin and begins working (illegally, we presume) as a local taxi driver and tough-guy. Loan sharks and pedestrians, beware! Naturally though, that’s only the beginning for Niko and the veteran soldier and convict starts to turn his fate around as quickly as possible, escalating from his cousin’s babysitter to a feared criminal in his own right. Alright, so it may not be the correct way to chase the American ideal, but it’s certainly the GTA way and the closely-guarded motivations behind Niko’s quest make him a much deeper character than Tommy Vercetti or GTA 3’s Claude. A patch for the PC version of Grand Theft Auto: San Andreas has broken save files, removed songs and stripped resolution settings from the game. GTA V is a great game, but it's not a very nice one.